Luke Walton weighed on the notion that anyone can coach the Golden State Warriors and have a lot of success doing so because of having a heavily talented roster. Walton, who was once tasked to handle the Warriors as interim coach, said that coaching the Warriors is not an easy job to do. While the […] The post Kings coach Luke Walton responds to idea that anyone can coach Warriors, says ‘it’s not an easy job to do’ appeared first on ClutchPoints. 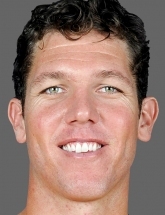 The Sacramento Kings have officially hired former Los Angeles Lakers head coach Luke Walton, and it seems that his working relationship with General Manager Vlade Divac is off to a good start. During his introductory press conference, Walton says there’s already trust between him and Divac, having played together in the mid-2000s. New Kings coach […] The post Luke Walton says there’s already ‘trust’ between him and Kings GM Vlade Divac appeared first on ClutchPoints. At his introductory press conference on Monday, new Sacramento Kings head coach Luke Walton told local reporters he is going to be putting a huge emphasis on defense next season. The Kings gave up 115.3 points per game in 2018-19, a number that ranked 26th in the NBA. Walton says he loves offense, but that […] The post Luke Walton will be putting major emphasis on defense in Sacramento appeared first on ClutchPoints. The baseless free agent speculation shouldn’t all fall to Kevin Durant; what do you think of DeMarcus Cousins as a Laker?